A lifelong resident of the area, growing up on dairy farms throughout Litchfield and Northern Fairfield counties, Bill developed a love and appreciation of nature and the New England landscape. Taking up the camera later in life, he is a self-taught photographer specializing in landscape and nature photography. Bill’s images have appeared in magazines and associated websites such as Wild Bird and Digital Photography. He has been featured by local publications and organizations including the Litchfield County Times and the Steep Rock Association. Bill is a resident of New Milford for over 20 years. 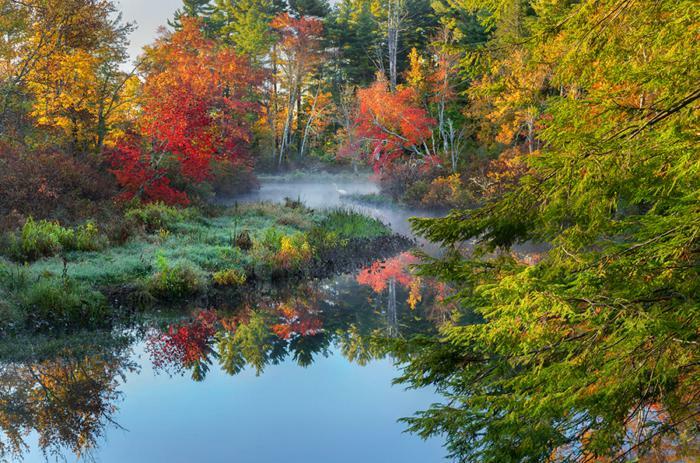 You will often find him hiking along the rivers and lakes, through fields and woods of the Northwest Corner and surrounding New England and New York with camera in hand capturing breathtaking images of the region and its wildlife. To see more of his work and to purchase Bill Wakeley’s images visit bill-wakeley.artistwebsites.com/.